It’s only recently that I got my hands on the first book from Ella Mills (previously Ella Woodward), Deliciously Ella, and oh man what I’ve been missing! I can totally understand now why this cookbook has been such a big success. While I’ve been following ‘Deliciously Ella‘ blog for a long time I’ve never actually bought any of Ella’s books. I think for me was just enough to see her amazing recipes she shared on her blog. But then recently, I stumbled upon her first cookbook in the library and I borrowed it straight away as I was dying to see why it was so popular. Now that I’ve tried quite a few of her recipes I am actually thinking of purchasing this book, so good those recipes are! This book is not only for vegetarians or vegan. It’s for everybody who wants to introduce more vegetarian dishes to their diet. Whether you are doing meat-free Mondays or you are a flexitarian, you should definitely own this book. All the recipes are not only vegan, they are also gluten-free. And truly delicious! If you think vegetarian food is boring and bland, with no taste, then this book is for you. The book starts with Ella talking about her rare illness (Postural Tachycardia Syndrome) and her motivation to change her bad diet full of sugar and processed foods. Due to her illness, Ella was at some point bedridden 95 percent of the time and her life was on hold. She was in chronic pain, sleeping sixteen hours a day and had really bad stomach issues, just a few of the symptoms of this terrible illness. Doctors gave Ella various drugs and steroids but they did not really help, so at the end, she decided to take control of her health and find another way to heal. She started to research holistic and natural approaches to healing and what she discovered led her to change her diet completely. She gave up meat, dairy, sugar and anything processed. 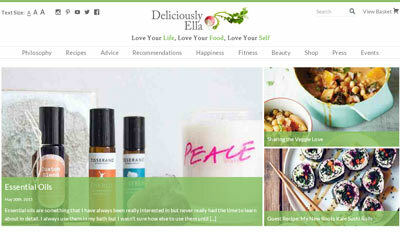 Soon she started to feel better and got inspired to start her blog ‘Deliciously Ella’ where she would share the recipes she was making for herself. It took a bit of time but at the end she actually managed to heal herself – just by changing her diet. The decision to change my diet really was single-handedly the best thing I’ve ever done. It allowed me to take control of my illness and get my life back, which was so empowering. It’s been quite a journey and I’ve learnt so much, which is why I wanted to write this book – so that I could share all my findings with you. Before Ella shares her recipes, there is a bit of introduction on how to get started – ie. things that you will need to cook like her (ingredients, equipment). 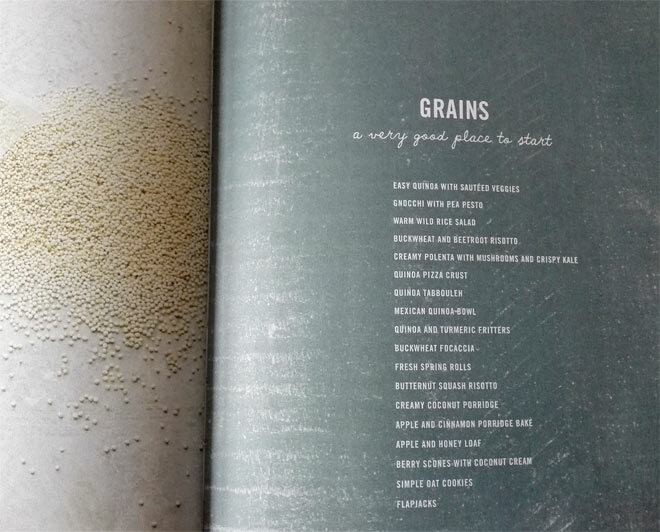 In this section, she also shares some basic recipes, for example, how to make dairy-free milk and how to cook grains. Not sure whether this is the best way of organising the recipes though, it might be better to do it by course type: breakfast, lunch, dinner, desserts, etc. However, I didn’t find that to be too much of an issue. The first recipe that I’ve tried from the book was Creamy Coconut Porridge. I made it slightly differently but I did use the main ingredients: coconut milk and coconut oil. These made the porridge creamy and really delicious. From the Grains section, I was already familiar with the Quinoa Tabbouleh so I didn’t attempt that but I did follow Ella’s recipe for Easy Quinoa which made quinoa really tasty, better than the way I would normally make it! No wonder I want to buy this book now, so many delicious recipes! Just to mention that not all the recipes have pictures which would be nice to have but I guess it’s not a deal breaker. While recipes may give you some great ideas for healthier cooking, you may struggle to put everything together, so Ella wrote a special section, just for this purpose. In this section you will find meal ideas for brunch, dinner parties, girl’s dinner, picnics and Sunday roast. Just everything what you need, right? The book ends with a useful section of Ella’s favourite resources – from health shops to her favourite books and equipment, here is everything you need to eat Ella’s way. Ella also answers frequently asked questions where you will find answers to some of your concerns and worries. 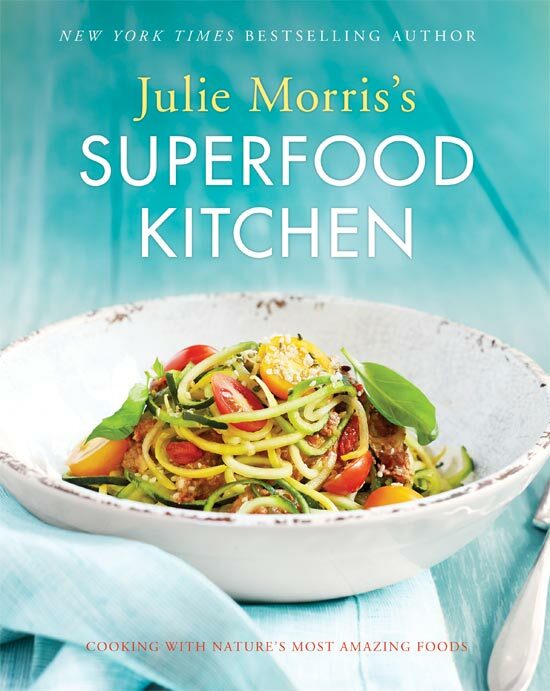 There is no doubt this cookbook is amazing – I really loved making Ella’s recipes and learning how to make my vegetarian dishes tastier, Ella is a champion in that. The book, however, is not in any way perfect or for everybody. It could be improved by adding the time in takes to prepare one particular dish and I would prefer it if recipes were for two people, not for four. Also to note, you will need some special kitchen equipment for some of the recipes such as a strong blender, a spiralizer and a good food processor. This, of course, is not an issue for those who are already quite advanced in the kitchen. All in all, I really loved Deliciously Ella book – this has now become my favourite cookbook which I am happy to recommend to everybody. If you don’t have this book at home you can purchase it on Amazon here. It would also make a fantastic gift. I bought this book a couple of years ago, after eating at Ella’s deli in London. 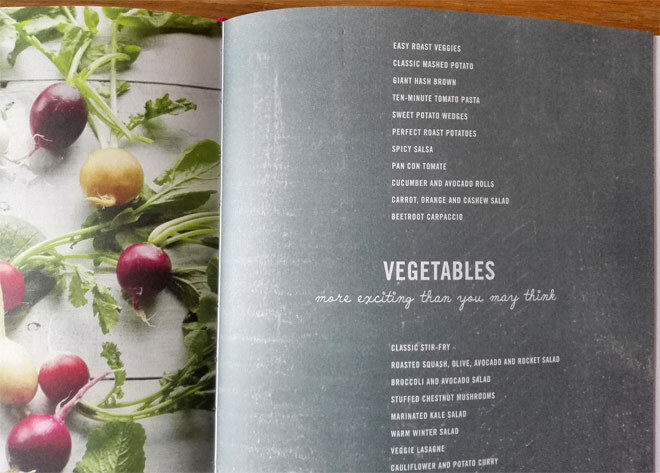 I agree with what you’ve said – it’s a great book, full of inspiring dishes but I find the organisation a bit confusing, I like having them split by meal rather than ingredient!